Need to make a unique piece with a touch of humor! This Trendy Saying 4 Silk Screen is just the one for you! 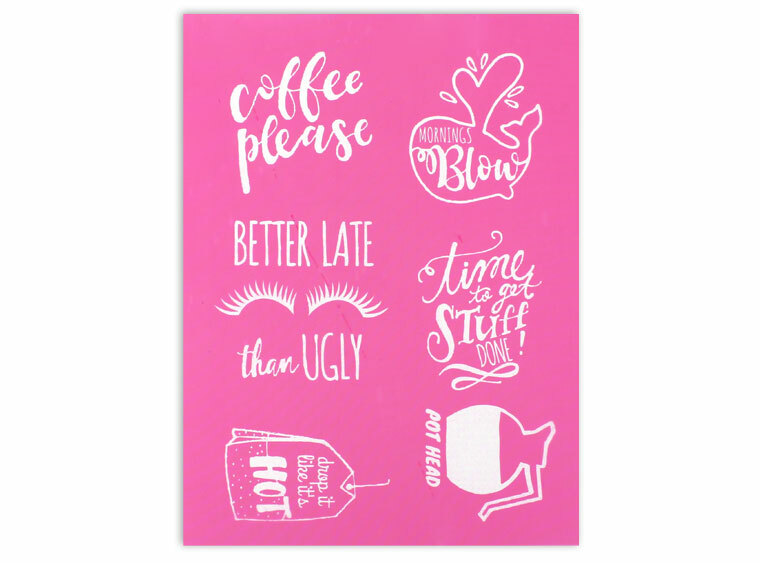 These particular designs would be great for mugs! For best results, mix your underglaze of choice with a pinch of Glaze Thickening Powder until you reach a peanut butter consistency before applying to the silk screen. This product is manufactured by NC Homegrown. Bisque Imports proudly manufactures and distributes a variety of products.